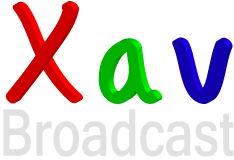 Xav Broadcast is founded by Xavier Walker, a Solution Architect consultant with over fourteen years of experience in the Broadcast / I.T. field. With a solid understanding of both the Broadcast needs and facilities provided by today’s A/V and I.T. industries, Xavier is in a unique position to support the Client’s requirements from early bid and proposal stages right through to installation, commissioning and acceptance by the client. In addition to his meticulous yet pragmatic approach in technical design, Xavier has experienced working in Europe, Middle East and Far East and his personal skills and understanding of local cultures allows him to perfectly understand the nuances of clients’ requirements. 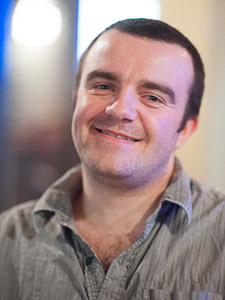 Fully bilingual English / French (and having lived several years in France), he has more recently predominantly worked in Paris with several clients whose requirements range from Sports and News production to complete Workflow Orchestration systems. In parallel to understanding cultural differences and engaging with clients, Xavier also has solid management skills and is a PRINCE2 certified registered practitioner. When not architecting solutions, Xavier uses some of his spare time and keen eye on photography, piano playing, hot air ballooning and motorcycling. Xavier’s CV is available on request.